Earlier and more accurate predictions. Easier and more covert to use. "Your profit is only limited by what you can win, without being detected". Roulette computers are hidden electronic devices that predict where the ball will land. They calculate the speed and deceleration of ball and wheel to determine the approximate winning wheel sector. They are by far the quickest and most effective way to beat roulette. Many roulette computers exist, but most are simplistic and only win on old and worn roulette wheels. Very few achieve high accuracy on modern wheels. This is a TV documentary where the reporters setup a casino night with real wheels to see how roulette computer players profited. The technology used was only very basic, although clear profits were achieved. The procedures explained in the video are similar to what’s required for our computers, although ours use more sophisticated technology that’s more accurate, more covert, and easier to use. 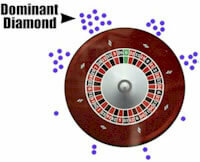 The documentary also explains cheating devices for other casino games, although roulette computers achieve a much higher edge than devices for any other casino game. Roulette computer users win small fortunes every day, but you don’t hear about it often because it is done discretely. The casinos know this, but can’t do much about it without reducing casino revenue from players who aren’t using roulette computers. The video here is just one particular case where the players were caught. Of course if you win too much too soon, you will attract unwanted attention. The video below shows a live webcam demo of our Remote Uber computer. You can see a similar demo and much more, on this or any other wheel. The video below shows one of our public roulette computer demonstrations, in which an edge of +120% is achieved. This edge is over 40 times greater than what the casino normally has over players (-2.7%). The predictions were made approximately 15 seconds before the ball falls, instead of the typical 7 seconds used by other computers. In the demo we simulated betting on 15 numbers, because on a touch bet terminal, this is three quick screen taps to bet on neighbors. So betting takes about 1.5 seconds. The win rate was 93%, which is a win on almost every spin. Betting 15 numbers is NOT required though, and betting just one number is sufficient. 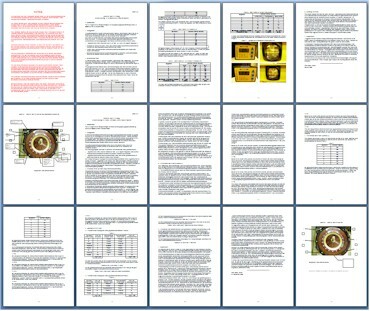 The science behind roulette computers is simple. For a basic computer to work, they need the three things explained below. The ball will almost always hit specific diamonds more than others. This is called a “dominant diamond”, and it happens on almost every wheel. You can easily check it on your casino’s wheels by creating a small chart. Regardless of the ball release speed, there will still be a dominant diamond. They are usually caused by minor imperfections in the ball track, and they are almost impossible for casinos to prevent. The ball bounce is never completely random. If you know where it will first hit the pockets, you have a reasonable idea of where it will land. You don’t need to be right every time. You only need to have slight accuracy to have an edge. 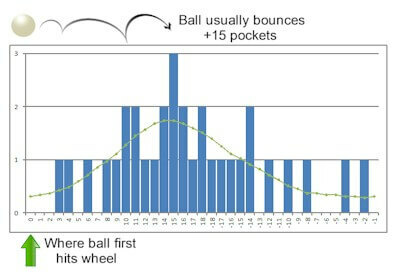 The chart here displays typical results when observing how far the ball bounces. Again this is something you can easily check on your casino’s wheels. The predict the winning number, the computer needs to know the speed of the ball and wheel (rotor). This can take a computer anywhere from 1 to 10 seconds to calculate, depending on the computer’s design. The calculated prediction is then sent to the player via a wireless earpiece hidden in their ear. The player usually only needs to bet one number. Click the link below to download a video that explains the basics of roulette computers. It was created by a consultant that casino's hire to educate them about computers. Computers that beat modern wheels in modern casinos require sophisticated design. Every imaginable variable is calculated to produce the most accurate predictions possible. This includes proper learning of ball deceleration rate (including changes), dynamic modelling of ball bounce on different rotor speeds, targeting predictions only when the ball is predicted to hit specific diamonds, and much more. Predictions as early as 1 second after ball release without significant timing errors. You can get rotor and ball timings from almost any orientation. You don’t waste time waiting for the green zero to come around again. Either use multiple players to take timings, or an automated hidden video processing camera to virtually eliminate timing errors. With one click you can lock equipment to ensure no unauthorized access. Military grade 256 bit encryption is applied. Resume play on different days without wasting time to re-collect data. Save hours of time each day. Masked and hopping radio frequencies ensure detection of wireless signals is almost impossible. And 256 bit encryption ensures any intercepted signals are secure. You could be physically searched by casino staff, and nothing out of the ordinary would be found. Typically ball and rotor timings are taken with a hidden toe switch. Our best version uses a miniature hidden camera that automatically measures speed for you. We’ve designed our computers for our own use. They are easy and practical to use in real casino conditions. We’ve put a lot into developing our computers and take your success personally. You get unlimited free support to ensure your success. You wont find a computer that gets earlier or more accurate predictions. If you find otherwise, we’ll provide a full refund (applies only to Uber and Hybrid versions). We already have every other available computer and stand by our guarantee. See a demo on any wheel you want. We conduct live demos either in-person or via live webcam. You could even aim your webcam at a wheel and hear our computer’s predictions. See a Demo so you know fact from fiction. We develop computers we use ourselves. They achieve much earlier and more accurate predictions than any other computers. Our most sophisticated version is the Hybrid V3 Remote. If you want the best available anywhere, this is it. Automatic wheel and ball speed detection: it doesn't get tired or make mistakes. It's always accurate. Auto hidden camera-aiming: you only need to face the camera in the general direction of the wheel, and the camera aims at the wheel itself. Can send predictions to any amount of players: you can have just 1 bettor, or even 5 if you want. Each connected player automatically receives unique numbers to bet. More players means more bets are placed, and the team is out of the casino in less time. For example, a team of 3 bettors can cover 15 numbers per spin, and win over 90% of spins. No important equipment is needed in the casino: the phone sends video outside the casino to a server in another country. There is nothing important or expensive players need to take into the casino. If players are searched, nothing unusual is found. Much quicker to use: Usually you start to beat the wheel after about 5-10 spins of play, and your edge gets stronger. The Hybrid learns how the ball behaves and bounces in much less time than the next best mode (the Uber version). So teams can be out of casinos with their profit in even 30 minutes of play. Although with higher stakes play, it is safer to test more spins to fully know how profitable the wheel is before making large bets. Even then it's still much quicker to use the other computers. Manage unlimited teams throughout the world: Normally to maximize winnings (millions), teams need to frequently change casinos to avoid detection. But the Hybrid allows you to have as many different teams as you want, throughout the world. All the players need is basic equipment such as common smartphones. So you could have a team in each country if you want, and give a new team access to the Hybrid each day. The teams pay you part of their winnings. This way it's like buying multiple roulette computers and giving them to your partners throughout the world to split profits. You can achieve an edge of over +120%. This is over 40 times greater than the -2.7% edge casinos have over normal players. No other casino game or advantage play technique comes close. The best blackjack card counters achieved a +5% edge and they made millions. But it's not possible anymore with modern shuffle machines. Our roulette computers usually achieve at least a +20% edge on well-maintained and modern wheels. Roulette computer devices are legal in about half of casinos. This is because most laws define cheating as “influencing” game outcomes, but the roulette computers do not at all influence spins – they merely predict them. But legal or not, you can still be banned for using computers, so they must be used discretely. This is because no casino will tolerate a consistent winner, regardless of how you win. It is a condition of purchase that you use them only where they are legal. Almost every modern wheel can be beaten. It's almost impossible for casinos to stop you winning without losing revenue from other players. 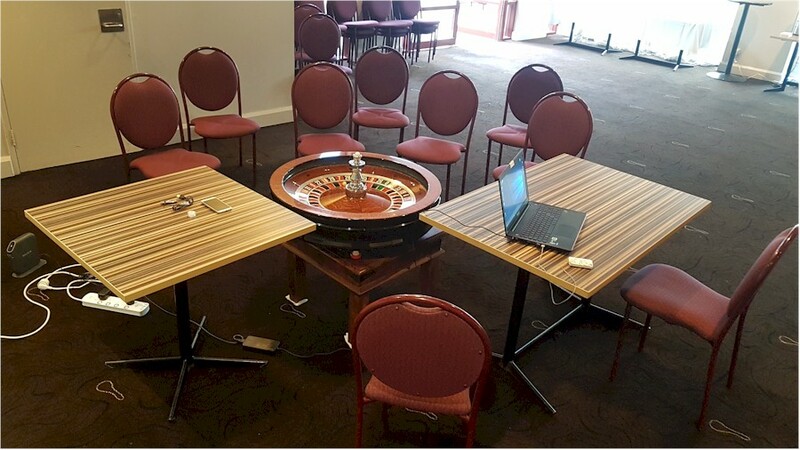 It is more viable for casinos to allow themselves to be vulnerable to computers and change roulette procedures only if roulette computers are suspected. Earn more in less time than any other system or technique. The only real limit is what you can win without being detected. And even in small casinos you can earn a six-figure income playing only part-time. Other strategies take far more time because of the lower edge achieved. It doesn't matter where you live. You can use our Remote Hybrid or Uber computers from anywhere with Internet access. You can literally even play from a mobile home or van. To do this you'll have teams of players in casinos throughout the world. We can provide you with players, or you can find your own. You don't even need to send players anything physical. They can use their own mobile phones and install the app we provide. And you can have as many teams as you like working for you. Your teams use their hidden phone to measure wheel and ball speed. The data is transmitted via wireless Internet to computer servers outside the casino (in another country). The server calculates the predicted number, then transmits it to players in the casino who bet. You can see the results from your teams in real-time. If you've ever wanted to earn six-figure sums without barely lifting a finger, it doesn't get better than this. 1. We introduce you to players who already have the equipment (such as phones), and live in countries where roulette computers are legal. We literally have hundreds of players ready to play, because we don't have room for them in our own teams. Or you can find your own team members. 2. Whenever they are ready, they enter the casino and play for you. You receive your cut of winnings (you determine the cut with them). They play for you even while you're sleeping. You don't need to be present, but you can easily see their results by logging onto your server. You have full control and can even restrict their access if they don't pay your cut. Q. How can I find players who will play for me? We introduce you to players who are ready to play. There is no shortage of players because we already have too many players in our own teams. You can also find your own team members by posting on gambling forums we suggest. We provide you with instructions for the same procedures we use to qualify our own players (to avoid time-wasters). The instructions include all the email templates and procedures they must follow to join your team. Q. Do I provide my teams with bankroll to bet? Usually players provide their own bankroll. Players take everything more seriously when their own money is at stake. Q. What if the players lose? They'll see the prediction accuracy before they start betting. You will give them the choice to proceed or not. They can decide to proceed, or try an easier wheel. Basically the computer gives everyone a clear assessment of how profitable the wheel is before betting starts. Very rarely is a wheel not beaten, but your players may prefer only the easiest wheels. Q. What will players pay me? Your cut of the winnings is something you decide with your teams. Normally you'll receive about 30% of the overall profit. Keep in mind the players are the ones doing all the work. Q. Wont my teams eventually buy their own computer? Yes this often happens, but there are many other players who can take their place. Q. How many teams can I have? You can have as many teams as you want. We suggest about 3 teams, although you can have more. But you shouldn't have too many or it can become difficult to manage. It is better to have a few good teams you work closely with, instead of many teams you barely know. Q. Does it matter if roulette computers are illegal where I live? No, not at all. The computer's server (which does all calculations) is in another country. We manage the server for you at our expense. And your players only play in countries where roulette computers are legal. Q. Can I really use the computer anywhere with Internet access, and without ever entering the casino? Yes. The connection between the players in the casino, and the server, is what matters. Even if this connection is poor, additional equipment boosts the signal to be more than sufficient. So almost never is Internet connection a problem. Mostly your connection to the server is to monitor your team's results, and ADSL or even mobile Internet is sufficient. Q. How does the server tell me a team's results? After each spin, the team enters the winning number via hidden equipment at the wheel. This is required for accurate predictions. You can easily see this data, and the accuracy of predictions. 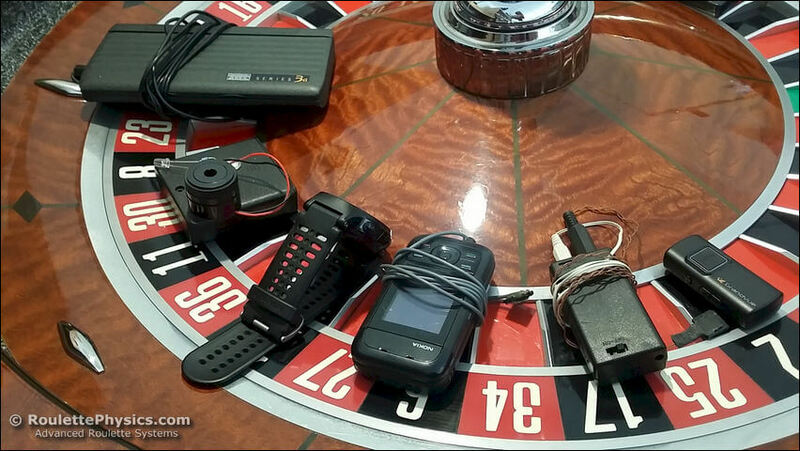 With the Remote Hybrid version, you can even see live video from a hidden camera inside the casino. Q. How do I start? Simply purchase either the Remote Hybrid or Remote Uber versions (other versions cannot be used remotely because all equipment must be inside the casino). The instructions are very thorough and explain everything conceivable, including how to set up teams throughout the world. We provide close support for every step. Purchasers pay a fair price. It’s not like we sell them for $49.95. Of course we use our own technology – specifically I manage many teams for a profit split. Despite having many partners, there are still far too many suitable casinos for us to play in them all. You might ask why I don’t simply partner with everyone that asks, but sending everyone a free roulette computer for a profit-split arrangement would get extremely messy in many ways. I only partner with the most suitable teams and individuals. To maximize revenue, I also sell (license) a limited number of computers to the public. When I feel my devices are becoming too common, I will stop sales completely to avoid use becoming too widespread. This will ensure my own teams are not affected, and revenue is maximized. Seek independent legal advice regarding this issue, although one option is to ask your local gaming authority. We provide a template email you send them to get the answers you need for free. My roulette computers are not to be used illegally under any circumstances. If I discover you are using the computer illegally, I will deny you access to ongoing codes that are required on a periodic basis to keep the software operational. Understand if you apply the technology illegally, you also put me at risk. Gambling laws vary between states, even in the same country. Roulette computers are legal in approximately half of the casinos. The most central region where computers are LEGAL is Europe, but there are also legal regions on the American continent. We have conducted our own legal research and know where it is legal, although you should still do your own legal advice without relying on ours. We only reveal exact jurisdictions to actual players. No, of course not. Most computers are hidden in a pocket. Ours are built into normal-looking mobile phones, so they don't look suspicious even if they are seen. A hidden cable with a button is clicked to measure the wheel and ball speed. Most players prefer clicking the button with their toe, so their hands are free. The predicted number is transmitted to a miniature invisible wireless earpiece. So the computer is completely hidden. The casino staff never see it. Our most advanced computer (the Hybrid) uses a hidden camera with a pinhole lens, and measures wheel and ball speed automatically. So players don't even need to look at the wheel. Because no casino will tolerate a consistent winner, no matter how you win. A casino can easily ban players they suspect are using computer, although banning almost never occurs. Instead, the dealer calls no more bets earlier in the spin, so you have no time to bet. The only way to avoid this is to win discretely. When you leave, the dealer will resume calling no more bets later in the spin. This allows typical losing players to bet more and lose more, which maximizes casino profits. No, the computer doesn't need to be near or on the wheel. You just need to be able to see the green zero or ball pass, so you can click the hidden button at the right time. If you are using the Hybrid roulette computer, then the timings are taken automatically. But the hidden camera needs to see the wheel. With the camera's auto-aim and zoom capabilities, the camera can be even 30 meters away from the wheel provided the green zero and ball can be seen. A lot more detail is provided so you make an informed decision. Contact us if you have further questions. See virtually any proof you want and be left in no doubt. The best proof you can get is testing for yourself in a personal demonstration or free trial. You don't need to be skeptical because there are many options for you to see virtually any proof you want. Personal demos are best proof possible but they are optional and not essential to purchase. See a demo on any wheel you want either in person or via live webcam.Bring your own wheels to demonstrations, or hire one from a local supplier: we welcome the opportunity to test on any wheel.See a demo on a 2017 model John Huxley wheel (often called a “Saturn” wheel), with a bouncy ivorine ball: This one of the most common wheels in the World. It has an 8/10 difficulty rating, and we can dismantle it for you to inspect and ensure it hasn’t been modified.See a demonstration at ONLINE casinos: You can also see a demo with an online casinos, although keep in mind most online casinos don’t allow bets after ball release. You can still see early and accurate predictions, so you know that the computers beat wheels I don’t own. Bring video recordings of a wheel: You can purchase video recordings of spins, or even record spins from online casinos. You should have at least 200 spins, and the video must be relatively smooth (consistent frame rate of at least 15 frames per second). Test a simple roulette computer at www.roulette-computers.com/free-trial/. You can send us video of any wheel, then we’ll calibrate the computer for your wheel to test on. It costs you nothing and you can test from home. We'll loan you a computer for 1 day to test: Get our best computer for 1 day to test all you need (conditions apply). You wont find a computer that gets earlier or more accurate predictions. If you find otherwise, we'll provide a full refund. See Terms and Conditions. Now you can "pay as you win" instead of paying the full purchase price up-front. New and more flexible payment options are temporarily available. Some require you to pay LESS THAN HALF the original up-front cost, then you can pay the rest with winnings. The available options are strictly limited. See Details HERE. There are a variety of different versions. Naturally the more sophisticated versions are more accurate, but also more expensive. Contact us with details of where you play, and your approximate budget, and we'll suggest the most suitable version. A summary of each version is below, but see a detailed comparison here. All prices include everything you need for real casino application. Entry-level device with basic functionality. It achieves the same accuracy as competent visual ballistics player, except it requires far less skill and learning (visual ballistics is a common professional approach). Affordable version for common wheels and conditions. It's a few steps above the basic computer in both sophistication and accuracy. It includes support for a second player (to bet more numbers in less time). The Lite version still achieves a reasonable edge in common conditions. But it's less accurate, and achieves later predictions than the advanced versions. For serious single players, or two-player teams. Capable of much more accurate and earlier predictions than the Basic or Lite versions. It comfortably beats almost every modern wheel design in real casino conditions. This is our newest computer. It's almost identical to the Hybrid Remote version (our most powerful version), so you get the earliest and most accurate predictions possible. The only significant difference is the Uber Remote obtains ball and rotor timings via player clicks of a hidden button, whereas the Hybrid uses a hidden camera and automatically measures speeds. The timings are transmitted via wireless Internet to a remote server, which performs calculations and returns the predicted numbers to any amount of players at the table. The server exists outside the casino, and in another country. No sensitive equipment is ever brought into the casino, so there's nothing important casinos could confiscate. Between 1 and 4 players can take timings - the more players taking timings, the more accurate predictions are. The Remote Uber can be used by single players, but it is designed for large international teams. It is fully functional, although we are modifying the software's interface before it is made available. It will be available before October 2018. The ultimate computer for high-rollers and international teams. Players wear a hidden camera to record and transmit video of the wheel via wireless Internet. The Hybrid server analyzes the video and transmits the predicted number to players at the table to bet. Owners of the Hybrid don’t even need to enter casinos. They can watch their players win from home or anywhere in the world. Contact us for further details. Besides the earliest and most accurate predictions possible, these versions have a unique advantage that maximizes your revenue. They allow you to manage unlimited teams anywhere you want, and get paid part of their winnings. You can have a different team play each day of the week, and can even sleep while they play. It doesn't matter where you live in the world. And you never even need to enter a casino because your teams play for you. We can even introduce you to players who are ready to play for you. The only limit to to your profits is what you can win without being detected. That's because if you're detected, the casino will close bets earlier until you leave. You can't realistically win $50,000 without drawing attention. So if you win large sums, normally you must play elsewhere for a while to avoid suspicion. This requires time-consuming and tiring travel. But unless you change casinos, your revenue is limited. Because the Uber and Hybrid servers are connected to the Internet, all players need to use it is a smartphone, the hidden audio equipment, and your permission. Each team is responsible for purchasing their own equipment (about $500 per player). This enables you to have a different team play each day. And because they play in different countries and casinos, they can win much larger amounts without being detected. As you receive a percentage of their winnings, you maximize your revenue, without even needing to set foot inside the casino. You can work entirely from home, or anywhere in the world. So the Remote Hybrid and Uber versions allow you to repeatedly win large amounts, without drawing attention. Very large sums can be won in a short time. You can find new team members in our player-only forum. We can also introduce you to players who already have the required equipment, and are ready to play. These players applied to work in our teams, but we already have too many players. There is very little training required for new players because the servers do most of the work. We have various versions which are explained on the comparison page. Basically the higher the price, the more capable the version is. If you are unsure which version suits you, contact us to discuss your requirements. You can make payment with Credit Card, PayPal, Wire Transfer, Bitcoin, Cash or Direct Deposit. See the purchase page for details. We can make ourselves available on most weekdays 9:30am - 4pm. Our local time is GMT+10 (Melbourne, Australia). Convert to your local time at www.mymeetingtime.com. Let us know what time during the above hours you would like to call (Skype is best). Then we'll confirm whether or we'll be available. Expect sellers to lie to you. Some roulette computer sellers are notoriously manipulative. Every seller wants you to believe their computer is most accurate, and gives the earliest predictions etc. Only one of us is telling the truth. Expect them to give you half-truths, distorted information and blatant false claims. Never rely on their word alone. Do careful research. Be aware of false positive feedback including paid Ebay reviews. Often sellers also publish fake negative reviews and false information about competitors. You get what you pay for. Most computers lose you money in real casino conditions. Don't rely on video demos alone. Some wheels are defective and very easily beaten, even without a computer. Insist on a personal demo on a wheel of your choice. If you aren't sure, see it for yourself on a wheel the seller doesn't own or control. Ignore sales hype & focus on a computer's features and capabilities: every seller claims their computer is best. Some even falsely claim their computers have capabilities they don't. Don't take a seller's word - see it for yourself.